I whipped up this pie on a weeknight in about 15 minutes. I had some leftover phyllo, half a jar of roasted red peppers, half a carton of mushrooms and a tub of Jarlsberg dip. Super random, key ingredient being the Jarlsberg dip. I'd also like to mention further constrictions: I threw this pie together in a 18 inch by 18 inch working space since my roommate was making something way more elaborate. After 45 minutes of baking, I took it out, let it cool, cut myself a slice and was happy. I was even happier when I came up from the She-Cave an hour later to find both my roommates guiltily noshing away at the rest of the pie (makes me happy because I can cook more). "This is the best pie you've ever made!" I wouldn't think that considering the minimal effort and leftover ingredients used, but those were the raves I got, so I will gladly take them. 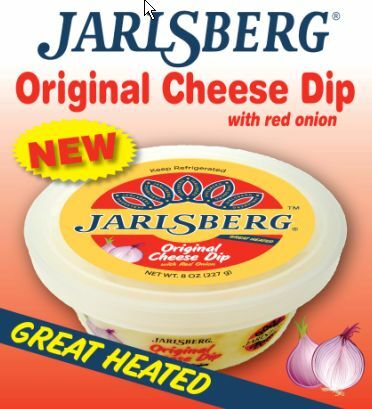 What is Jarlsberg dip, you ask? In a frying pan or skillet, sauté mushrooms with olive on medium heat. Deglaze pan with red wine and balsamic a few times until mushrooms have shrunk down. Set aside to cool. In an greased vessel 10x10 (or around that), layer the first five sheets of phyllo with butter sprinkled between each layer. Fold over edges after each layer. Mix dip, peppers and mushrooms and pat evenly on to the 5th layer. Finish with the last five layers of phyllo. Add extra butter sprinkles on top (you may need more). Let cool for at least 15 minutes before cutting (the cheese will run out like crazy). Another awesome pita, Anna. Love this one since I adore anything with mushrooms and red peppers (and cheese, obviously). I wish I had a roommate like you back in the day! I read about this Jarlsberg dip on another blog last week. I can't wait to try it, that's always been one of my favorite cheeses. elly - Glad you appreciate this combination. I wanted to add mroe vegetables, but glad I stopped at these two. Beth - Thanks! Thanks for visiting as well. Mmmm…I love how well you can put a pie together with fridge ingredients and fillo! Beautiful Anna and tasty I bet! Peter - Thanks so much! Fillo is the miracle worker, as usual. A wonderful "pita" Anna mou. This is the whole philosophy behind Greek pites. The would always use whatever vegetables or leftovers they had, some cheese, phyllo and they would feed their families. Ivy - I am glad you approve :-) I am all about putting everything and anything inside ze pita! Helen - me too! Whoa!